Endangered Hummingbird Photos. Photos of threatened hummingbirds. 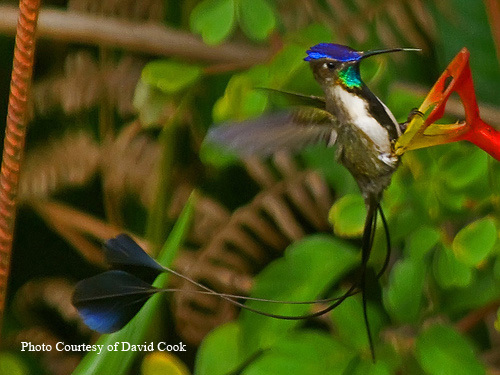 Is this the rarest Hummingbird in the World? Endangered hummingbird photos showcase the beauty of several species vulnerable to extinction. The clock is ticking and mother earth will surely miss these gorgeous creatures if human kind fails to save them in time. Sadly, many more species are diminishing too quickly. 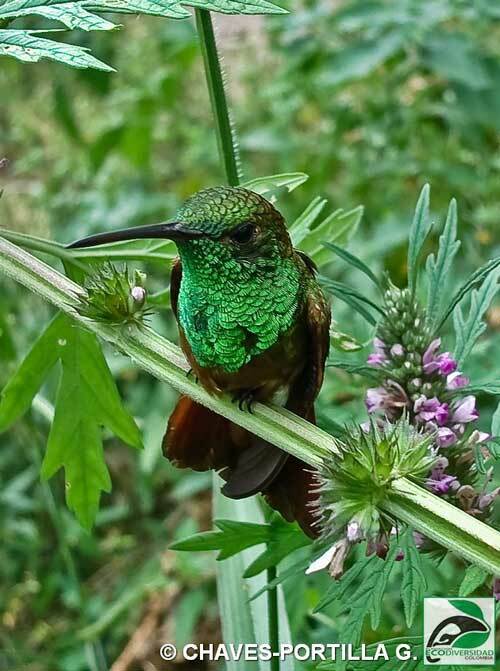 At the present time, all species of endangered hummingbirds live in only Central or South America year round. However, we must be cautious that this predicament will only be confined in these areas. Anyone in North America can not continue to take this for granted. In this 21st century, new challenges in North America are being presented to our hummingbirds. Habitat is decreasing due to a rise in population and urban development. The changing climate brings fires and floods eliminating some of the natural summer breeding grounds. In some instances, food sources are being lost when flowers bloom too early before the migrating hummingbirds arrive. We have yet to learn how our hummingbirds will adapt to these new challenges. Visit our endangered hummingbirds page to learn more. 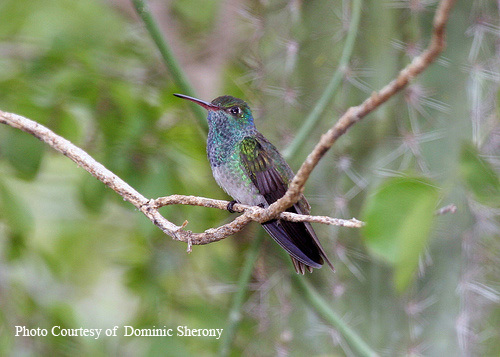 Is this the World's rarest Hummingbird? This most beautiful and unique creature only exists in the Utcubamba Valley in Peru, and is Endangered due to threats from habitat loss. This hummer has a 20% chance of extinction within 20 years. It's habitat is Mexico. There are currently between 1000-2500 listed by "Birding International". This bird is critically endangered and inhabits Honduras. Population estimate is believed to be between 50-250. 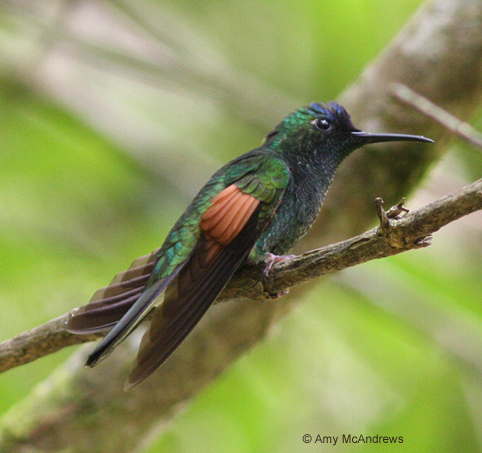 Columbia is the habitat and within 10 years this hummingbird faces a 50% chance of extinction. While the list of endangered hummingbirds continues to grow, there is reason for optimism. There are organizations who are developing innovative strategies such as tourism to create protective sanctuaries. We can only hop they will succeed. If you would like to submit your photos of hummingbirds, we would love to see them. Visit our photo submission page.